A lack of confidence in your smile can intrude on your life in frustrating ways, and lead to feelings of self-consciousness in professional and social settings. 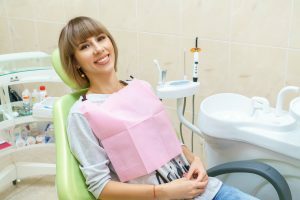 For many people, the idea of taking care of cosmetic issues can be exciting, but they can hesitate because they are unclear on what their dentist can actually do. Your Sheridan, WY dentist is able to provide several treatments capable of making big improvements. Bonding treatments and porcelain veneers are effective at transforming flawed teeth by hiding stains, minor chips and cracks, and many other problems affecting the condition of your smile. Are you looking for ways to improve on the way you look when you smile? There are many issues that make someone self-conscious about how their teeth look. If you have multiple concerns, you may be excited by what veneers can change about your appearance. People can discover that veneers effectively hide stains, chips, cracks, and issues with teeth that appear misshapen. A bonding treatment can also hide superficial problems with a special resin, which is safely applied directly to your enamel. While it can be nice to know that your dentist is ready to make big changes, your goal for cosmetic improvement may be simpler. If you are solely focused on discoloration, you can discuss a professional whitening treatment, which can remove stains that are difficult to treat with store bought products. Are Your Smile Troubles Something That Requires Restorative Care? Not all cosmetic problems can be addressed with cosmetic work. With that said, your dentist can still find ways to make you feel better about your appearance. A single-visit CEREC dental crown can be used to address teeth that are more seriously damaged, so that you have the support needed to bite and chew without problems. These restorations are constructed at the office, and can closely match the way your natural teeth look. Cosmetic work can lead to meaningful changes, and those changes can last…when you practice good oral care. Take care of your cosmetic improvements by keeping up with oral care at home. If you receive veneers, be careful about chewing on hard surfaces like ice cubes or pen caps so you can avoid damaging them. At Grinnell Street Dental, your smile needs can be tended to with a single cosmetic procedure. One treatment can help hide flaws like discoloration, dental damage, and more! In addition to providing work on your cosmetic concerns, your dentist is ready to provide oral health support so that you can maintain your teeth. To learn more about Grinnell Street Dental, or to schedule an appointment with one of our doctors, contact our Sheridan, WY, dental office today at (307) 672-7567. We welcome residents from Sheridan, WY and all surrounding communities.